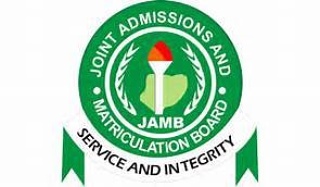 The Joint Admission and Matriculation Board (JAMB) has said the deployment of the CCTV device during the annual examinations had come to stay to tackle examination malpractice. Prof. Is’haq Oloyede, the board’s Registrar, made this known on the side-line of a two-day International Summit on Examination Malpractice which ended on Friday in Lagos. News Agency of Nigeria (NAN) also quotes the registrar as disclosing that the deployment of the CCTV device during JAMB examinations had come to stay. “It is in line with this kind of development that the board has concluded arrangements to create centres for examination malpractice devices for future examinations,’’ he said. According to Oloyede, the use of the CCTV for the first time during the 2017 Unified Tertiary Matriculation Examination (UTME), further consolidated its quest to ensure quality, equity and integrity. “There will be no compromise whatsoever. “Without the deployment of the CCTV, one will just be making a mockery of the computer-based test (CBT). “This device has ensured that even if a cheating candidate was not caught during the examination, such candidate will be caught after the examination. “We will continue to ensure that with education, one can achieve everything and without it, one can achieve nothing.